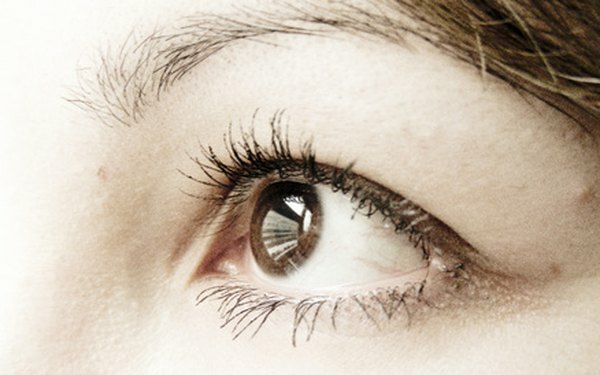 What Vitamins Protect the Optic Nerve? Will a Magnesium Supplement Upset My Stomach? Your optic nerve is a group of nerve fibers that comes together at the back of your eye. The retina is the lining against the inner part of the back of your eye, and this light-sensitive tissue transmits information to your optic nerve. The nerve sends this information to your brain, a process that converts the information to visual images. Damage to your optic nerve could result in vision loss, but some nutrients may help protect the nerve. A number of eye conditions may result in optic nerve damage. This may include conditions such as optic neuritis and glaucoma. Optic neuritis causes inflammation in your optic nerve, which typically occurs in people with an autoimmune condition such as multiple sclerosis. Symptoms include pain, particularly with eye movement, loss of color vision and vision loss. Glaucoma is one of the most common conditions that may damage your optic nerve. The World Health Organization reports that glaucoma is one of the leading causes of blindness worldwide. This condition does not typically present with any warning signs of damage, but your doctor will often note warning signs of glaucoma, such as high eye pressure, during an eye examination. Certain nutrients may help promote healthy eyes, and, as a result, these vitamins and minerals could help prevent optic nerve damage. Beneficial eye nutrients include vitamin C, vitamin E, vitamin A, copper, zinc and selenium, reports the Glaucoma Research Foundation. Your doctor can help you determine if these vitamins and minerals could help protect your eyes. If recommended, your doctor will tell you the optimal dose of each nutrient. She will also tell you if you should use oral supplements or your diet to reach the necessary intake. Omega-3 is a necessary nutrient for growth and development, but this fatty acid may have other benefits as well. For optic nerve health, the anti-inflammatory properties of omega-3 could play a role in reducing inflammation that results from optic neuritis. This nutrient will not treat or prevent this inflammatory condition, but a reduction in inflammation could protect your nerve from additional damage. If you have optic nerve inflammation, you may wish to talk to your doctor about the possible benefits associated with omega-3. Your doctor can help you weigh the benefits of this nutrient against any associated risks and help you decide if omega-3 is right for you. Before you make significant dietary changes or begin taking a supplements, talk with your doctor. He may review your diet and help you determine your nutritional needs, including the nutrients necessary for optimal eye health and your general health. People using certain medications such as blood thinners, or people with certain health conditions may need to avoid higher doses of some nutrients. Your doctor can also help you determine if you have these particular needs. Do You Have to Take Probiotics on an Empty Stomach? Do Magnesium Supplements Damage the Kidneys?